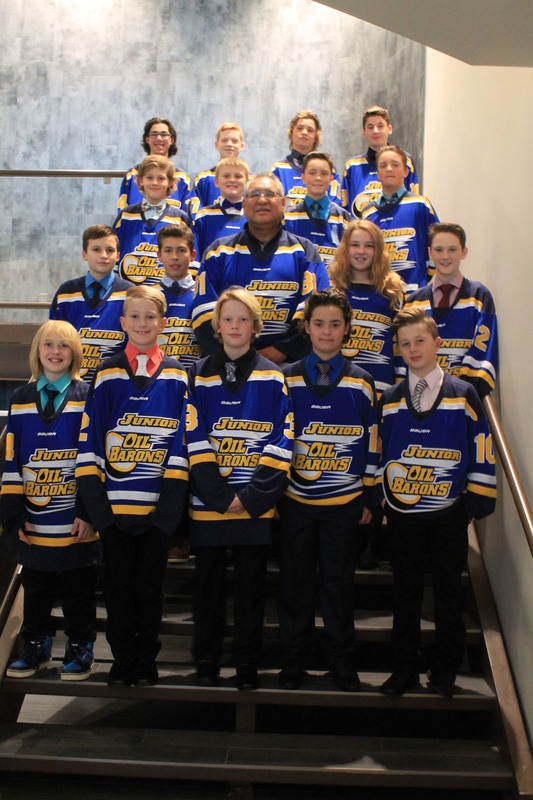 Dave Tuccaro with the 2016/17 Tuccaro Peewee AA Junior Oil Barons. A longtime supporter of youth sports, Tuccaro is once again proud to be the name sponsor for the 2016/17 Peewee AA Junior Oil Barons. This group of dedicated athletes will spend most of this winter practicing and travelling around Alberta playing the game they love representing our city. Everyone at Tuccaro wishes the team the best of luck this season, and hopes they make memories to last a lifetime. Tuccaro Group drops the puck at the home opener of the Tuccaro Peewee AA Junior Oil Barons Saturday night. Tuccaro is once again proud to be the name sponsor for the team. The team honoured our first responders who bravely defended our city during the May wildfire. Tuccaro is proud to have helped support Emergency Services during the fire with potable water, heavy equipment and fueling services. WPS was back before residents to ensure that there was safe, fresh drinking water ready upon their return. I received an overwhelming amount of support from the Tuccaro team at large over the past few months after my family and I experienced total loss of our home in the Fort McMurray Wild Fire. I can truly say I have found a home away from home with family and friends that genuinely care about my personal well-being.